Girls can't resist the newest and coolest doll around! 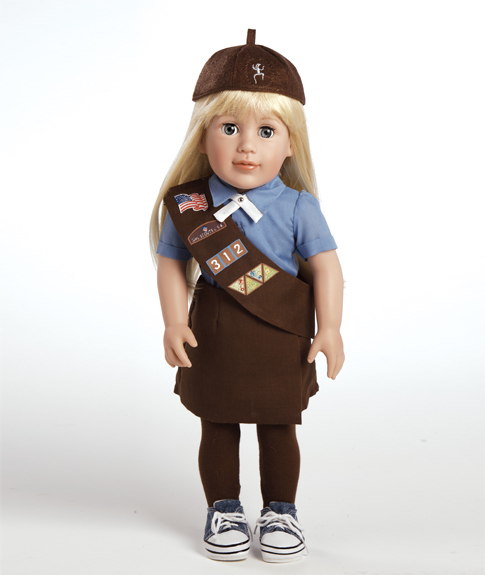 This 18" Girl Scout ADORA® doll is handcrafted in exclusive life-like and resilient Caressalyn vinyl. The doll has an individually sculpted face with open-close eyes, five points of articualtion (neck, shoulders, legs) and beautiful long hair. Girl Scout ADORA® dolls can wear most 18" doll clothes.